In the lead up to the Canadian federal election, the economy is front and centre, but not in the way the incumbent government would have liked. The Conservatives have gone to great lengths to brand themselves as good economic managers, but with the Canadian dollar hitting its lowest point in over a decade, their election case is losing credibility fast. The Harper Government has faced criticism for years for focussing too much attention, politically and economically, on the Alberta tar sands. And while experts warned of the risks of putting too many eggs in one basket, the government insisted that the Alberta tar sands should become the driver of the Canadian economy. 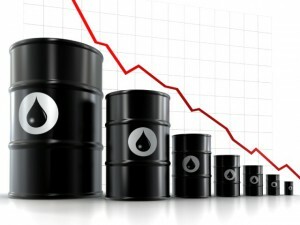 But when crude oil prices crashed late last year, the strategic weaknesses of this plan were clear. In Alberta, jobs were slashed, investment nose-dived, and the government faced the impossible task of balancing a budget based largely on oil revenue that simply was no longer there. As a result, the province saw the biggest political shift in its history, expelling the 40-year old conservative dynasty in favour of the left-leaning NDP – a party that held less than a handful of seats before winning a majority in the spring. On a federal level, the budget was delayed for months with the government scrambling to find ways to equip every Canadian with rose coloured-glasses as they confronted a budgetary crisis in the lead up to a federal election. But the price of oil just keeps dropping (and the Canadian dollar with it). And while this should do Canada some favours and stimulate a struggling manufacturing sector, these types of things don’t happen overnight. In the meantime, Canadians have seen living costs rise, jobs disappear, and everyone is getting a crash course on what it means to hitch a currency to a volatile commodity like oil. Adding insult to injury, what is bad for the industry as a whole is proving to be worse for the tar sands. When people talk about the price of oil, they are usually referring to one of the major global oil benchmark prices: Western Texas Intermediate (WTI) or Brent for example. WTI dropped below $38 per barrel yesterday (compared to close to $100 per barrel a year ago). But the tar sands have a different benchmark: Western Canadian Select (WCS), which has been dropping even faster and deeper than WTI. WCS has lost over half of its value since the beginning of the summer and is now trading in the mid 20s. At such low prices, many tar sands companies are operating at a loss, losing money with every barrel produced. This extra hit can be attributed to a number of factors ranging from the very practical (their economics are such that slowing production in a glut is much harder than just turning off a tap), to the spontaneous (shutdowns due to fires in major specialized refineries), to the long term challenges of market access. Market access has been the golden ticket for the industry for years – if they can just get their product to more markets, they can get a better price and justify unlocking billions of new barrels of tar sands, and the gigatonnes of carbon that come with them. This is why the pipelines they need for market access have become the focal point of diverse and dynamic campaigns driven by concerned citizens on the front lines of the tar sands and beyond. The tar sands are Canada’s fastest growing source of greenhouse gas pollution, but without Keystone XL, Northern Gateway, Energy East, TransMountain, or the creeping expansions in the Enbridge pipelines – the industry can’t justify rapid and dangerous expansion. While the pattern is for industry to use rail as an emergency back up to pipelines, this is much more costly (the main reason why rail will never meaningfully replace pipelines) – and now it is just adding to their losses. Oil economics are complex, but one thing that is clear is that betting the Canadian economy on a volatile resource that is among the highest carbon oils in a world that needs a carbon budget is not a wise move. If aspiring Canadian politicians are wise, they will stop trying to spin the need for new pipelines that will only add fuel to the fire, and start talking about a clean, just, stable energy future for the country that doesn’t take the climate and the economy down with it.